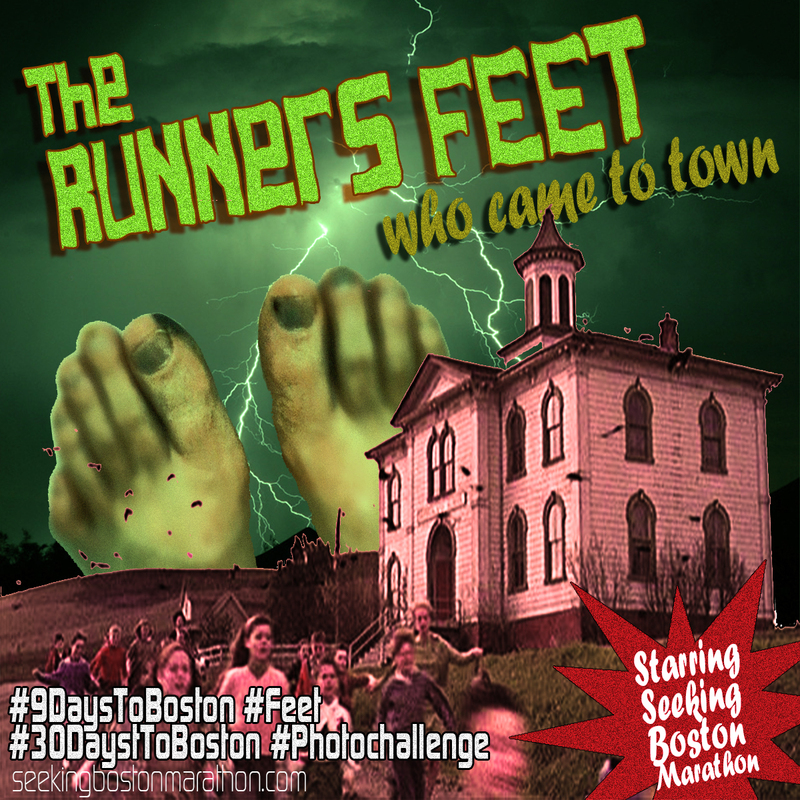 I had three inspirations for today's #30DaysToBoston #Photochallenge. 1) How horrifically ugly my feet are right now. I have no shot at being a foot model unless I'm the "before" picture. Key word here being "horror." 2) I have to find the tweet, but someone said that when they take their shoes off, they scare small children. 3) My wife and I watched the movie "Hitchcock" this month. I've always been a fan of his movies (except for his last, "Family Plot" which was a different kind of horror.) Today's movie poster theme is hijacked from the school scene from "The Birds." Look closely, and you can see Tippi Hedren running away from my feet. Speaking of scary, if you don't enter my #30DaysToBoston GIVEAWAY, I'll take my shoes off in front of your kids.